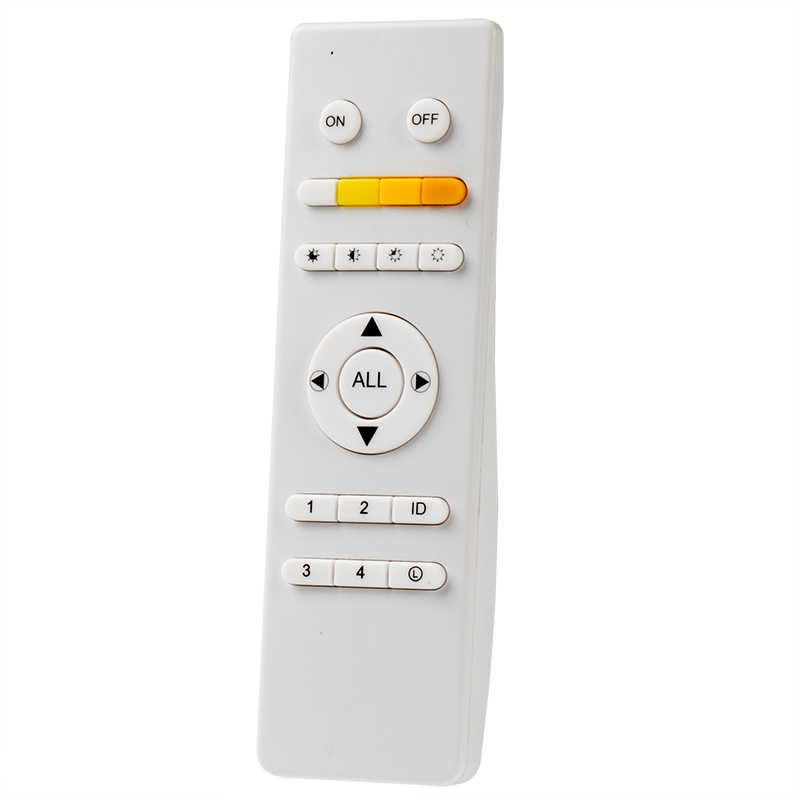 Use this remote to control your 2' x 4' and 2' x 2' Tunable White LED Panel Lights. 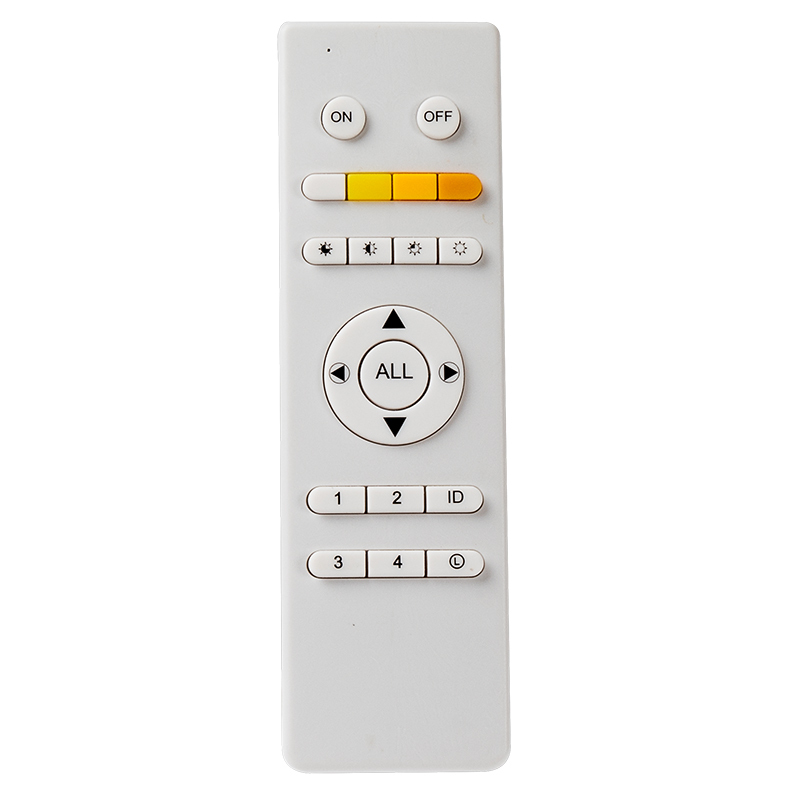 The remote features buttons for direct color temperature and brightness (25%, 50%, 75%, and 100%) selection, and you can use the remote's top buttons for more customized brightness and color. A timer function is also available, which allows the panel to cycle through all color temperatures throughout a period of time. An LPD2VCT-RC remote control can be paired with an unlimited number of panels within a 15-meter (49.2 foot) radius. Multiple remote controllers can also operate within a shared space,provided each has been paired with their respective panel(s). A panel can only be paired with one remote controller at any given time. Pairing and Un-pairing can be performed before or after panel installation. A non-volatile memory retains panel settings and pairing assignment when AC power has been removed. Apply 100 ~ 277VAC to the panel(s). This starts a 20-second window in which the “ON” button must be pressed for 6-seconds. The panel(s) will cycle (on/off or off/on) to indicate pairing has been completed. Apply 100 ~ 277VAC to the panel(s). This starts a 20-second window in which the “OFF” button must be pressed for 6-seconds. The panel(s) will cycle (on/off or off/on) to indicate un-pairing has been completed.